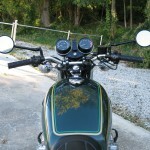 Restored 1976 Kawasaki KZ900 Motorcycle. 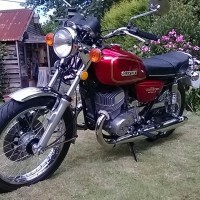 This bike was totally restored in 2013. 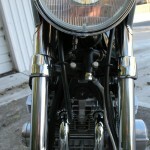 The frame was blasted and power coated in satin black to match the original sheen. 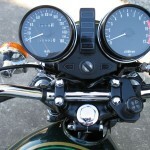 The tacho and speedo shells, side stand, centre stand, triple tree, battery box and gauge mounts received the same treatment. 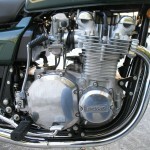 The engine was completely disassembled and rebuilt. 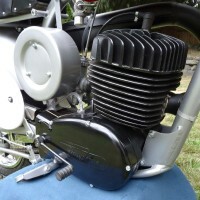 The cases and any other bare cast aluminium parts were vapour blasted. 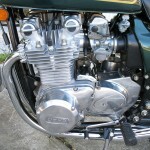 The head was rebuilt and finished. 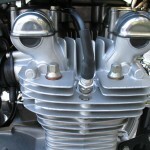 The cylinder bores were honed and the piston rings were replaced. 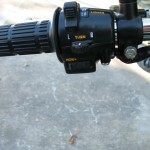 The cam chain and guides were replaced. 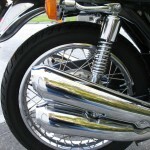 The zinc plated hardware was re-plated. 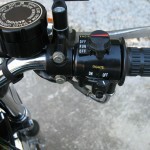 The speedo and tacho were rebuilt. 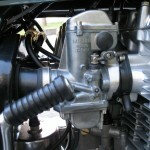 The carbs were stripped and rebuilt. 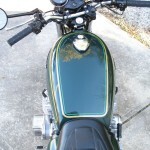 The tank, tail and side covers were professionally painted using the correct colour paint. 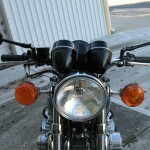 All of the gaskets, seals, and fluids were replaced. The steering and wheel bearings were replaced. 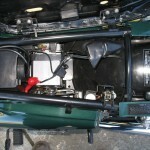 The brake pads and shoes were replaced. 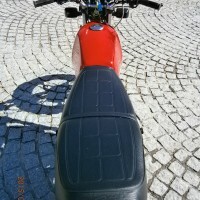 A new seat cover and pan was used. 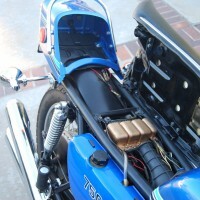 Dyna electronic ignition and coils were installed for smoother running. 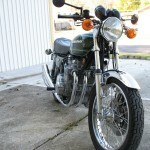 A great restored Kawasaki KZ900 Motorcycle. 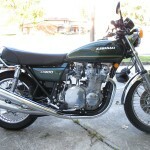 Kawasaki KZ900 – 1976 For Sale or Wanted? 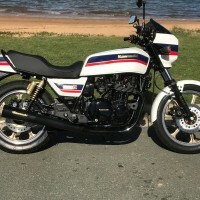 If you're looking for the perfect Kawasaki KZ900 – 1976 for sale then take a look at the hundreds of restored classic motorcycles listed on our extensive Motorcycles For Sale pages. 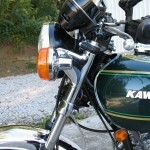 We regularly feature very nice restored Kawasaki KZ900 – 1976 bikes for sale. 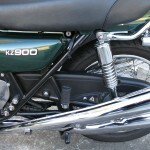 Spares and Parts for your Kawasaki KZ900 – 1976? 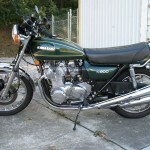 Workshop Manual for your Kawasaki KZ900 – 1976?